One of the first fashion items I'll be looking out for is a pair of comfy wedge sandals! Although, I already have around 10 pairs of sandals I still feel the need to add a couple more to the collection, especially the super comfy ones which make the perfect travel companion! Some of my top destination for comfy shoes are Brantano, Dune London, TOMS and Ecco Shoes. I had a look at some of their products for this year and discovered a handful of fashion forward summer sandals that I'll be adding to my wishlist, or shall we say Birthday Wishlist! Brantano is a multi-brand footwear seller that stocks stylish and high quality shoes across a huge selection of well-known brands including Clarks, Sketchers, Rieker and Hush Puppies. Even with over 40 brands and hundreds of styles for you to choose from, they all share a common feature; comfort! The women's sandals I've selected on the right all have cushioned insoles or padded heels to ensure maximum comfort and stability! With these soft cushions, you'll never have to complain about tired feet again! These sandals are the perfect travel companions as they synergise style and comfort. Who doesn't like to travel in style? Do you own a pair of TOMS? If you don't then you'll be please to hear that TOMS support people in need by selling shoes to you! Indeed, "with every product you purchase, TOMS will help a person in need. One for one." TOMS is famous for their classic fabric canvas shoes, but not everyone knows that their collection also extends to bags, sunglasses and sandals! 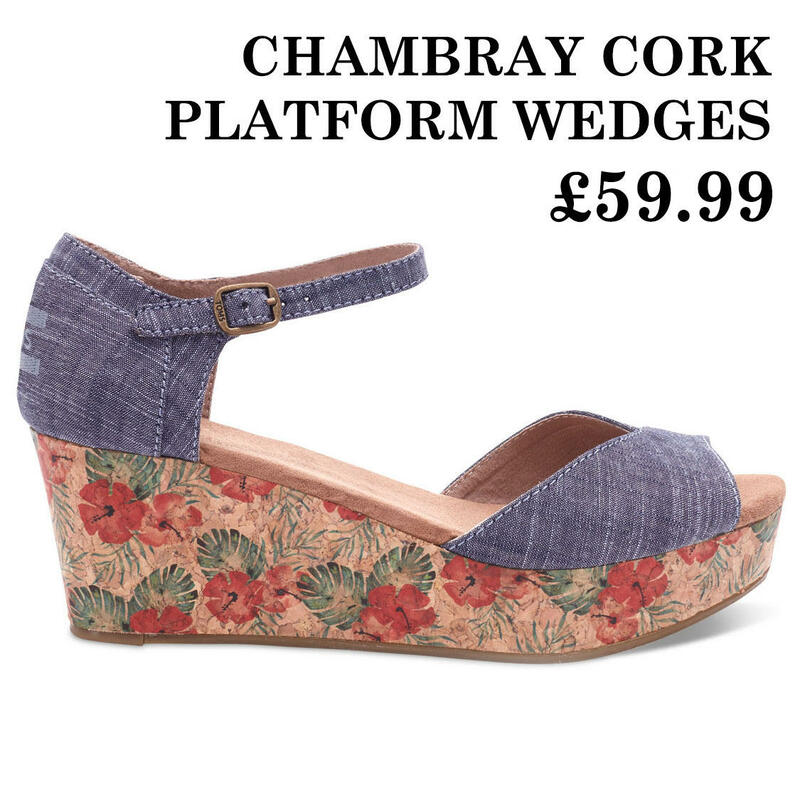 Not to mention, they have introduced a really gorgeous selection of wedges for this season! All TOMS wedges have a comfort insole that gives you that effortless lift! 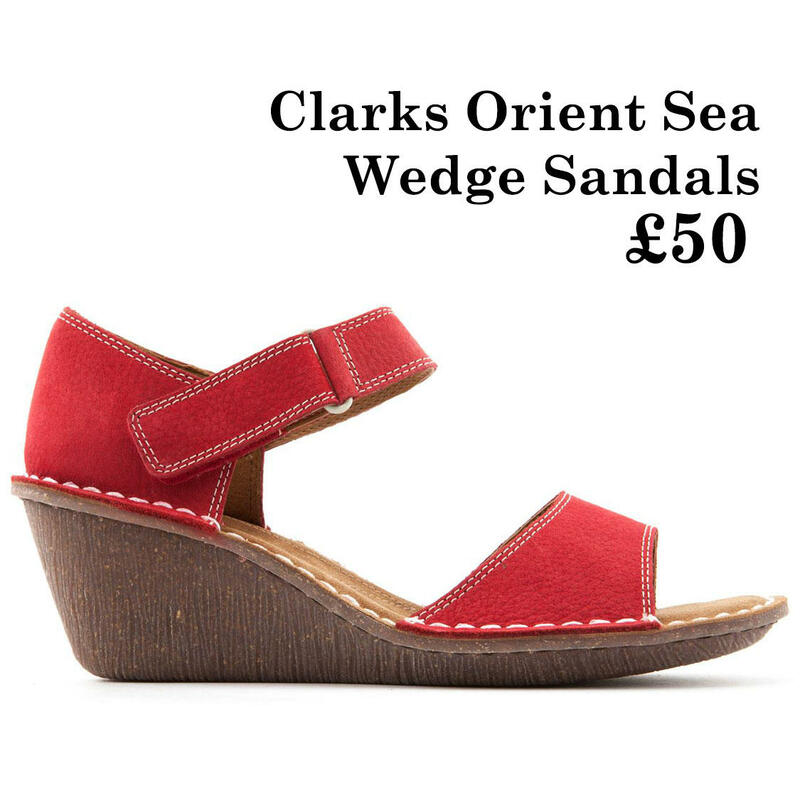 I'm also obsessed with eye-catching designs of these wedge sandals, don't they look gorgeous? My whole family is hooked on Ecco Shoes, simply because they're incredibly comfy! Ecco is a Danish brand, so the shoes are designed with the minimalist approach in mind. 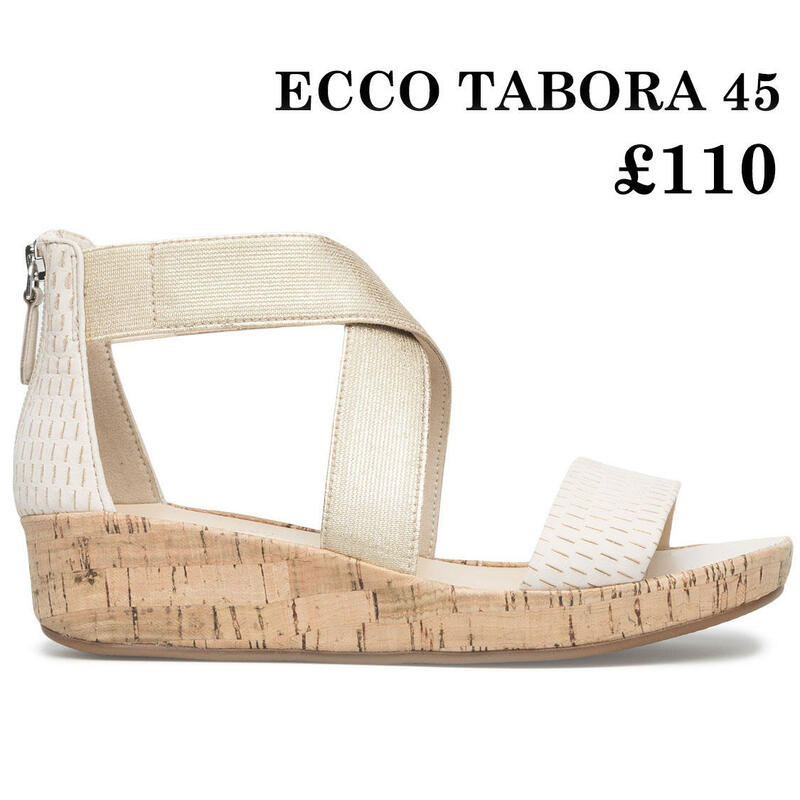 Although simple, it doesn't stop Ecco from making their shoes stylish! 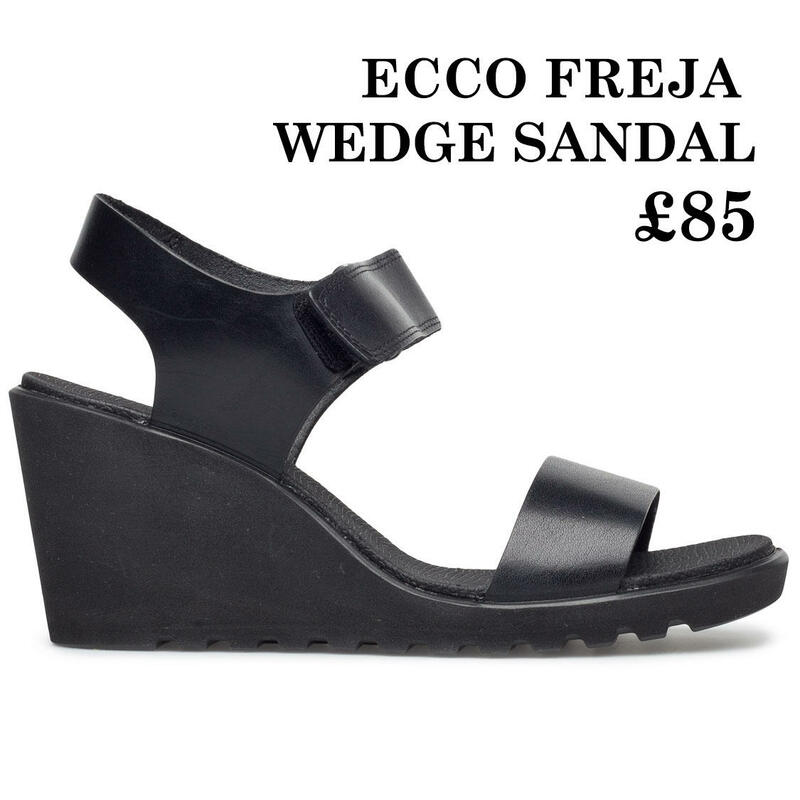 If you're looking for a slight lift in height, then Ecco has the perfect wedge sandals for you. 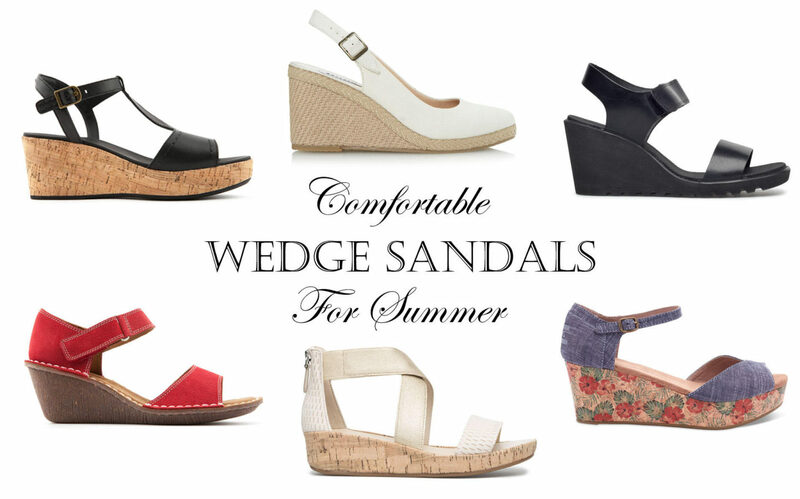 These wedge sandals all have extra cushioning for support and comfort. Not to mention, Touch 45 has shock absorbent heels! The leather straps are also super soft to ensure durable long-term wear! 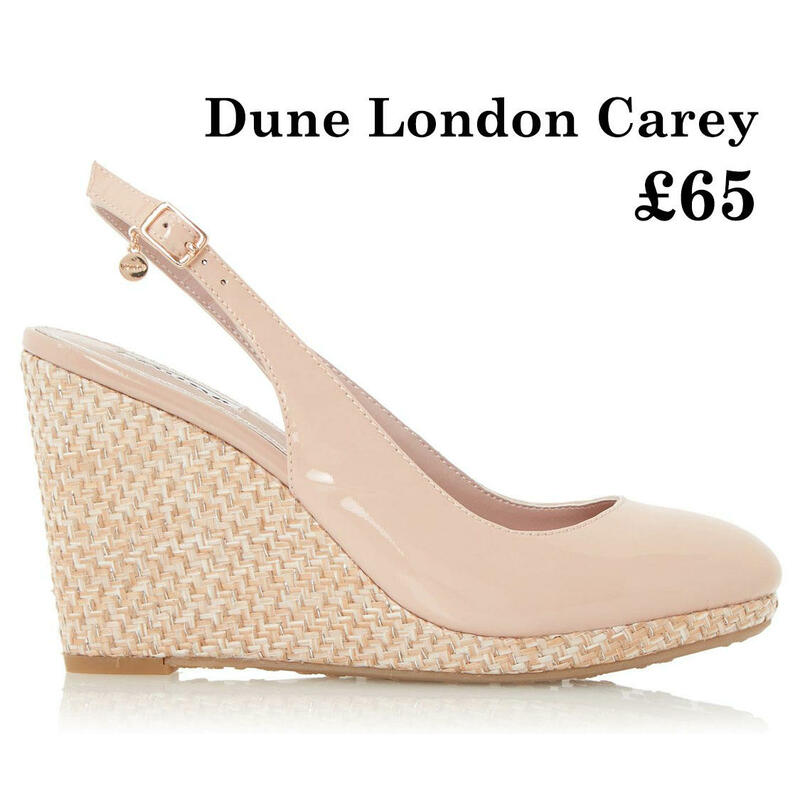 Dune London is one of my favourite places to shop for shoes! Not only do they offer over 2000 styles, but they're also a brand loved by bloggers and celebrities alike. The Duchess Kate Middleton is a huge supporter of Dune London and has worn Dune London Karley Wedges Sandals on several occasions! Dune London Karley must be super comfy if it's approved by Kate! Dune London always impresses with their new styles. They have some gorgeous wedge sandals for this season that's got the perfect combination between style, comfort and price. What's even better is that they're currently having a 50% sale! Where do you shop for comfy wedge sandals? Disclaimer: This is a sponsored post, but the words are my own.